HacDC is a 501(c)(3) nonprofit, and gifts are tax-deductible as allowed by law. The organization needs your support to defray operating expenses in order to fulfill its educational programs and community service. We are a registered charity under the Combined Federal Campaign (CFC)! Just designate Charity #32991 as a donee. We like to receive donations via Dwolla because they charge lower fees (25¢ per transaction) than Paypal (2.2% + 30¢ per transaction), plus HacDC gets $10 in waived fees if you sign up for Dwolla using our referral link. Once you’re signed up there (a similar process as signing up to PayPal as it takes a few days to verify your bank details), you can click on the orange Dwolla button, above, or go to https://www.dwolla.com/hub/hacdc and donate. It’s not the choice for everyone, but it’s much appreciated for those who choose to! HacDC accepts computer hardware donations and donations of electrical test equipment, electrical equipment of any function, and shop/hand/power tools. We also accept donations of bulk electronic components such as resistors, capacitors, transistors, micro-chips, wire, solder, etc. 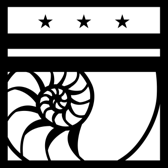 HacDC members can provide donors with a tax-deductible receipt, which should include a mention of HacDC, an itemized list with value declarations, and (ideally) a signature. Members sustain HacDC by organizing its programs and providing dues. Consider becoming a member today!